A new way that you will be able to safely place money on your bingo account, and something that several online locations are considering is that method of PayPal. PayPal is possibly one of the most popular ways that many people use to send money online. Something that will make a nice addition to many people’s online bingo playing too. Because well it’s just something that is so simple to use, and they did have it before, but well it was dropped at that time because they felt it wasn’t something that would work out well. However, thanks to PayPal making a few changes they may be able to add this as a very nice option to many online bingo sites out there. See they are going to allow people or even a business to send money with an email address and it will be secure, cost-effective, and of course convenient. Those payments can be sent and received as well so it should make PayPal something that will work well in the scheme of online bingo. There are several locations out there that have stated already that they plan to add this as another option for people to place money on their accounts. PayPal is one of the safest ways that you can find to send money, and it’s quite easy to protect yourself against fraud. So many people will surely opt as this way to deposit money on their accounts. The more people use it the more locations that will most likely add it as a way to place money on your account. Those deposits that you make are going to show up on your PayPal account, so keeping track of what you’ve spent is very easy. 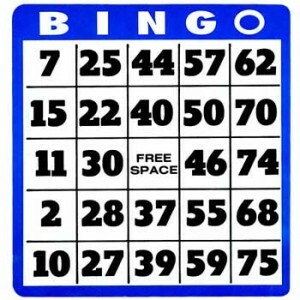 Overall it’s a great way to cut out the use of credit cards and still be able to play the bingo online that you’ve come to love. Let’s hope that this is something that will work out and give many other people a shot at enjoying online bingo.